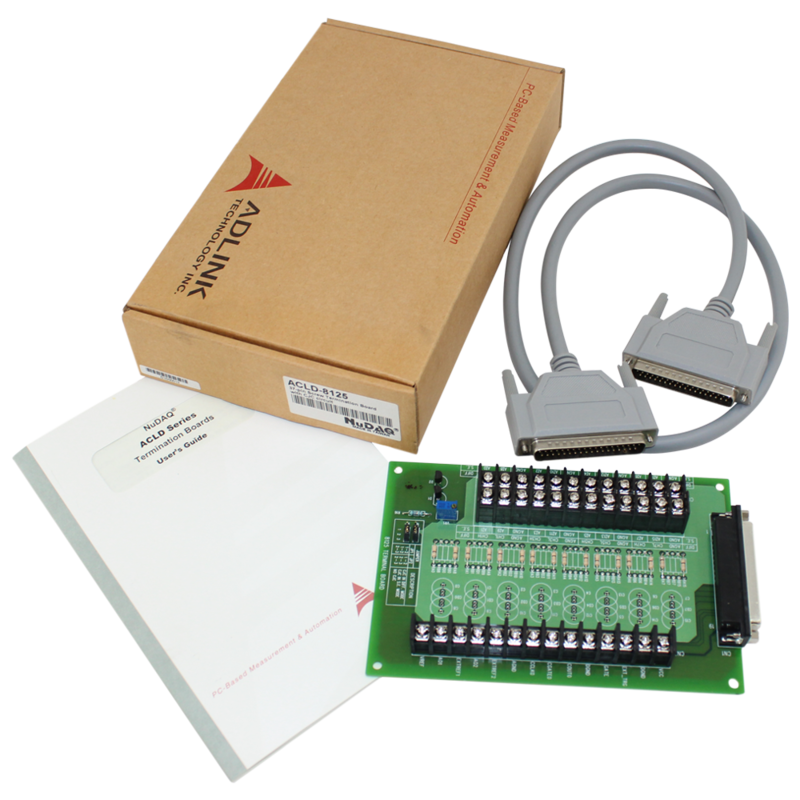 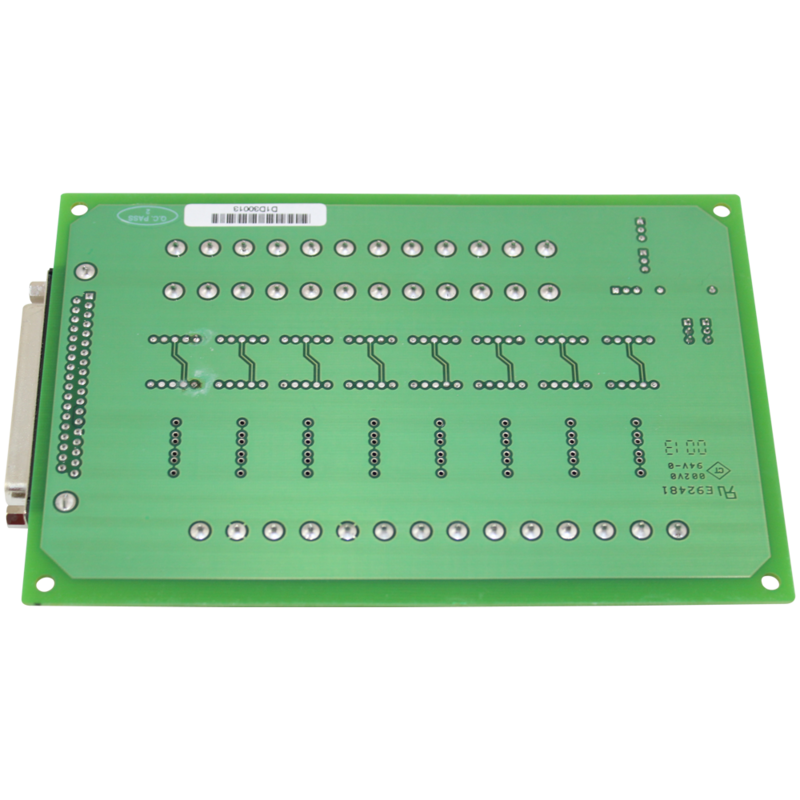 The ACL-8125 comes equipped with a DB-37 female connector, this board is designed for ACL-8112/8216/8316 and PCI-9111/9112 series cards for convenient wiring. 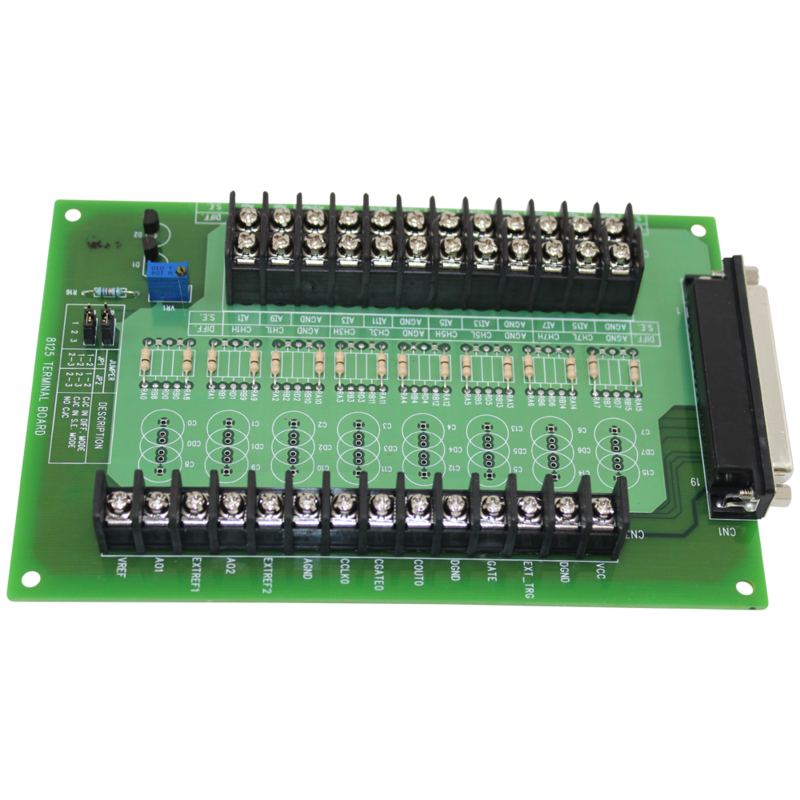 This board provides two kinds of wiring style: single-ended and differential. 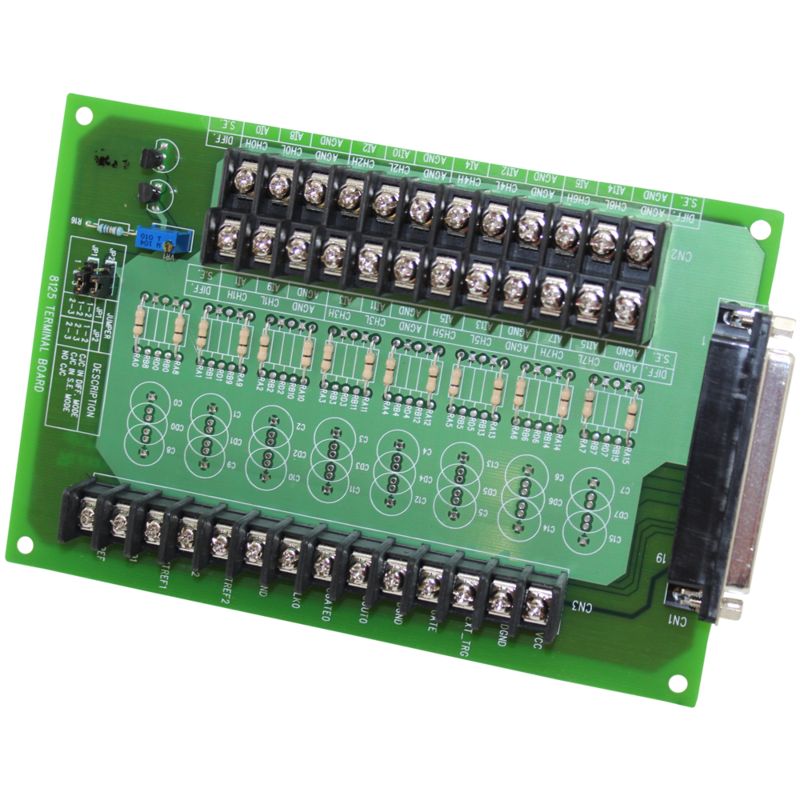 An on-board Cold Junction Compensation (CJC) circuit is provided by the ACLD-8125 for thermal couple measurement. 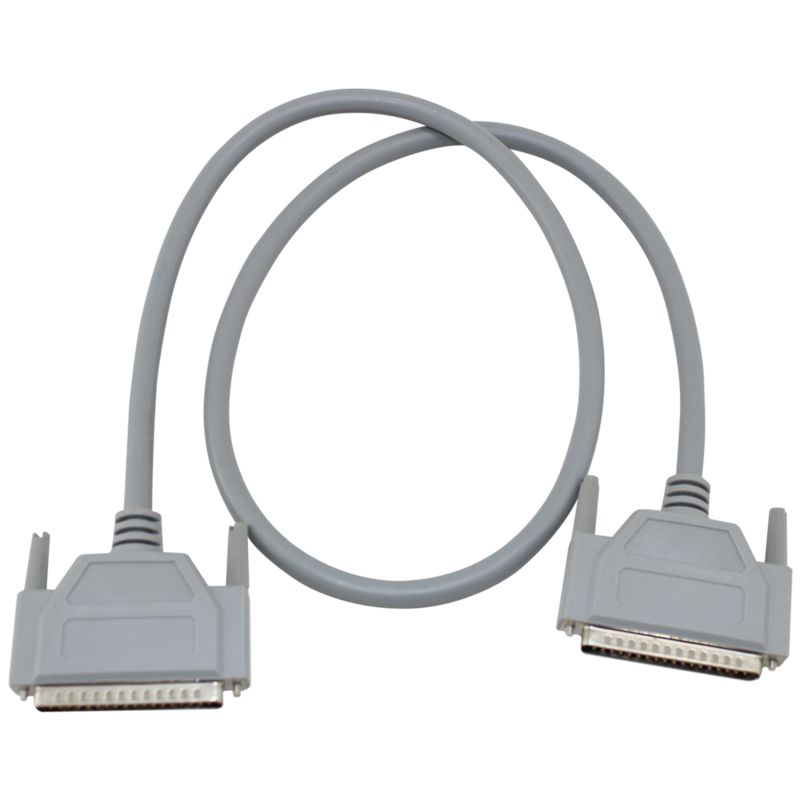 The CJC is connected with Channel 0 of the internal connector.